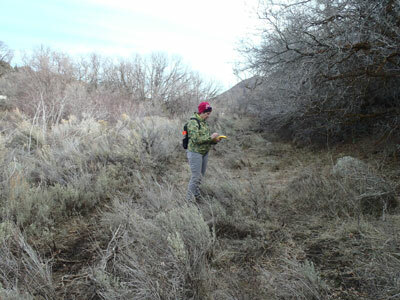 Salt Lake County hired BIO-WEST to design and prepare construction documents for trailhead and parking lot facilities at the entrance to Yellow Fork and Rose Canyons, which are located at approximately 15730 South Rose Canyon Road. 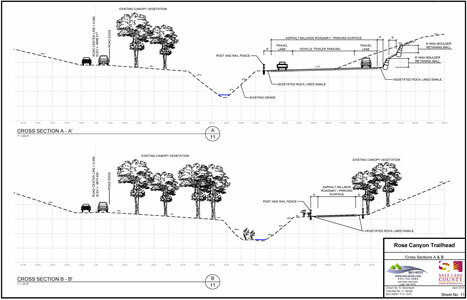 The design includes stream restoration, an asphalt parking lot, fencing, restroom facilities, and signage. 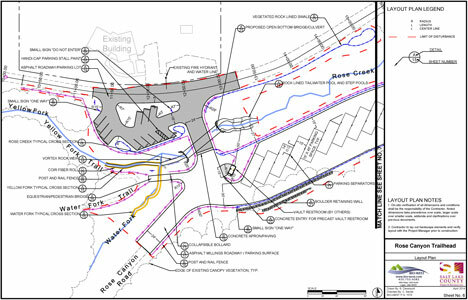 The stream restoration task includes hydrologic and hydraulic analysis for Rose Creek, stream-crossing designs, preparing stream-alteration and flood-control permits, and conducting a wetland delineation and developing an accompanying report. BIO-WEST is responsible for development of the construction documents package including layout plan, grading plan, planting plan, construction details, cross sections, a summary of materials, technical specifications, and an architect’s cost estimate. All construction document plans and details were prepared in AutoCAD format and delivered to the County at the 60 percent and 90 percent completion stage for review before being organized into a final bid package. BIO-WEST is also responsible for project construction monitoring, including conducting regular site inspections and participating in construction progress meetings. Agency coordination includes Salt Lake County, Utah Division of Water Quality, and utility companies.